Extra wide window needs extra wide curtains and curtain pole! Extra wide curtains (four and half widths each!) made up in Zoffany’s beautiful Water Iris fabric in 2 different colourways. 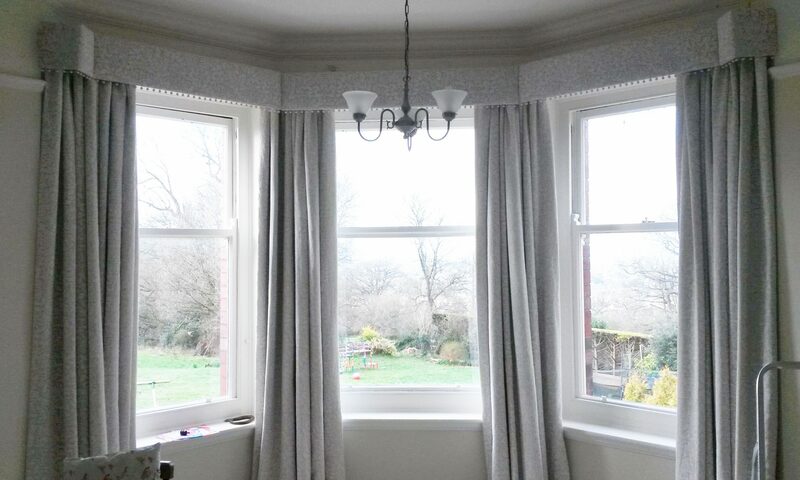 All beautifully fitted by my fitter on Alison Davies French style Acanthus and Couture curtain poles, with matching hold backs. A modern kitchen diner extension to a beautiful period cotswold stone house needed the large 5m wide folding doors softening, as well as something to take the blackness of night away without using heavy drapes. Floor to ceiling linen effect sheer voiles were used on a ceiling mounted track, with a beautifully simple wave heading to ensure the wide curtains stacked back neatly during the day. The large window next to it received the same window treatment, but just to the sill.